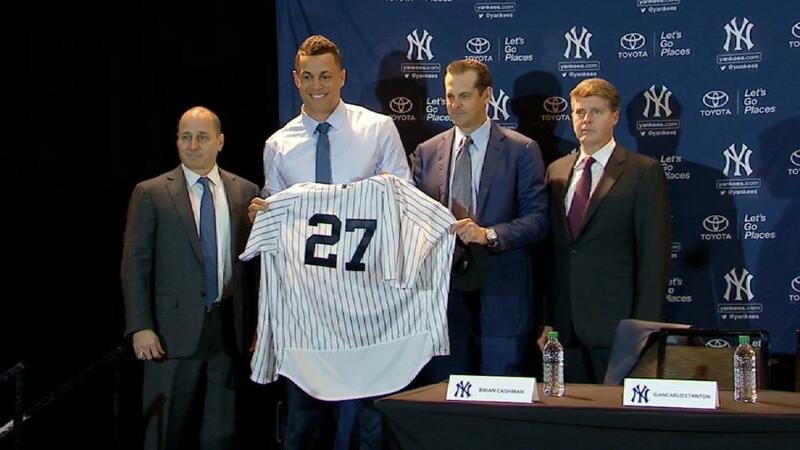 Giancarlo Stanton pinched at the shoulders of a pinstriped jersey with his No. 27 stitched on the back, holding it up for public consumption while a broad grin spread across his face. It might soon constitute a nightmare for American League pitchers, but this was the outcome the slugger had dreamed of, being introduced as the newest member of the Yankees’ imposing lineup.